When I speak with Minta Meekins, general manager of the Oregon Inlet Fishing Center, it’s immediately clear she was raised on the Outer Banks. Her vowels roll in the Elizabethan brogue that’s native to the region, words like “website” lilting to “websoight” and “fish” to “feesh.” It’s an auditory link to the history of the area, and as she tells me about their boats and captains and catches, I’m transported to the past, to the time of isolation and adventure when the roots of the Oregon Inlet Fishing Center first took hold. Now the largest, most modern charter fishing boat fleet on the East Coast, they proudly carry on the heritage and history of Outer Banks fishing. 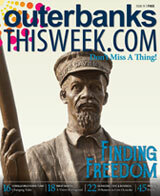 In the years following WWII, the Outer Banks entered a dynamic period of change. For the first time, a road was paved all the way to Oregon Inlet. The National Park Service took ownership of the area, and in 1954 a recreational fishing concession was awarded to Toby Tillet, who dredged the inlet to create a harbor and opened a bait shop. What was once an area so isolated it spawned its own distinct regional dialect, the Outer Banks began to see an influx of outsiders charmed by the pristine beaches and fishing opportunities. Recreational sport fishing itself was nascent at this time as the catch and release of big species such as billfish began to take hold in people’s imaginations. 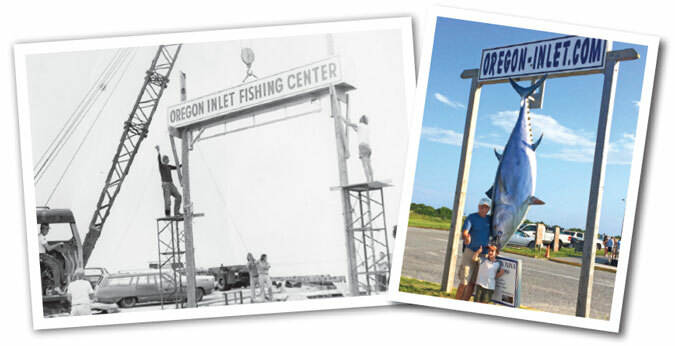 A key historical figure in Outer Banks tourism, Aycock Brown, sent out photos of the stunning catches from the Fishing Center, spike-nosed marlin towering above the men who caught them. People learned that the Center was the closest launching site to the Gulf Stream, the territory of the big fish, and its accessibility had improved due to advancements in the boats’ navigational equipment. All of these components coalesced, and the Center grew and expanded throughout the years. Today, Minta tells me that some of their captains carry on a tradition of professional fishing that is four or five generations deep. The things that first made the Center a success still abide – talented captains, deeply invested managers and board members and close proximity to the Gulf Stream. With 28 boats journeying to the Gulf Stream, eight for nearshore trolling, and seven light-tackle, outboard motor boats to cruise the inlet and sound, the Center has something for everyone from serious anglers to families looking for a day’s adventure. 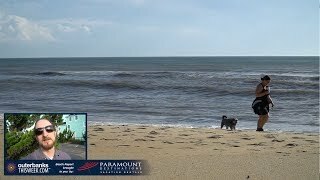 And though the roads are now paved and the boat cabins air conditioned, you’ll still catch a glimpse of the storied history of the Outer Banks, whether in the musical lilt of a vowel or the hands of a captain using a technique taught by his grandfather. 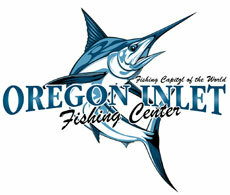 Angling with Oregon Inlet Fishing Center, you, too, participate in the proud legacy of Outer Banks fishing.